The overwhelming majority of people in Taiwan support the government’s policy of maintaining cross-strait peace and defending national sovereignty, but disapprove of military and political threats by China, according to the Cabinet-level Mainland Affairs Council Feb. 8. 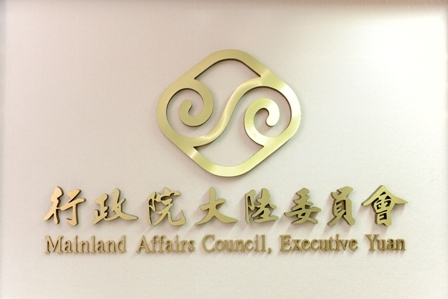 Citing two regular surveys conducted in the second half of 2018, the MAC said nearly 83 percent of respondents believe both sides of the Taiwan Strait should respect one another and work to resolve differences through dialogue without political preconditions. The polls also found more than 85 percent support the position that only the 23 million people of Taiwan have the right to determine the nation’s future and direction of cross-strait ties. A total of 79 percent back the government’s commitment to defending freedom and democracy, as well as cooperating with like-minded countries in promoting cross-strait and regional peace. Around 78 percent disapprove of China’s ongoing campaign of poaching Taiwan’s allies and suppressing its international space as such actions undermine the development of cross-strait relations. In addition, more than 75 percent do not identify with China’s “one country, two systems” approach. The MAC said it will implement President Tsai Ing-wen’s four musts and three-part security network, as well as advance related policies in a pragmatic fashion, as part of efforts to keep cross-strait ties on a positive track in line with democratic values and public expectations. Introduced by Tsai in her New Year address, the four musts are China must face the reality of the existence of the ROC (Taiwan); respect the commitment of its people to freedom and democracy; handle cross-strait differences peacefully and on the basis of equality and reciprocity; and negotiations can only be conducted by governments or authorized agencies.